5 yr old Granddaughter handles this like a pro! I bought these for my kids in August for the current school year and now my son's lid won't close. It just keeps spinning and won't tighten leaving a terrible seal. My daughter's is fine and I actually love them! I emailed Swell with no response. Aside from this, great bottle, but it would be nice if they would come good for a new lid or something. The lid straps makes it hard for my son to get off. The thing that holds the strap to the lid makes an annoying chirping noise as the lid is being turned. 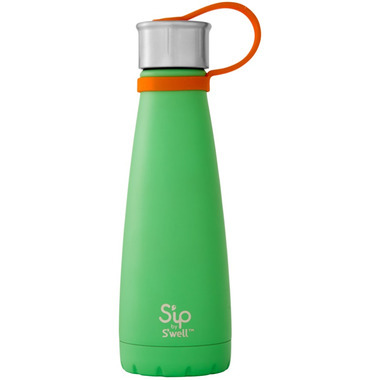 The bottle itself is good though...but Iâ€™d recommend the non-strap version.